This is not dirty, or developed for lack of hygiene!! In this brand is known as Acanthosis-Nigricans. You can go on the neck, face, forehead, armpits, between the legs and other body parts. 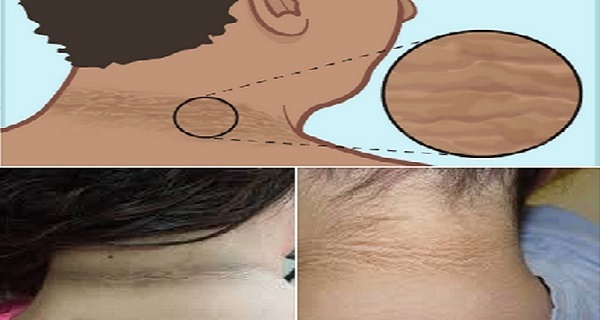 It is a Mark On The Skin That Signals High Insulin Levels in the body. It tends to be confused with a smudge of dirt or grime but this actually indicates that the body is resisting the insulin produced by the body. As a result, the pancreas produces more insulin and eventually you could get to develop diabetes (Type 2). May disappear with simple lifestyle changes of life and a moderate weight reduction (in many cases). If you know someone, adults and children that present this, do not waste any more time inbox us, remember that a detection in time can prevent diabetes. Share the information with your friends ! !